Garrett College will host a combined FIRST Tech Challenge (FTC) Kickoff and STEM Building Grand Opening on Saturday, Sept. 8th. Come and celebrate Science, Technology, Engineering and Math (STEM) with the G-FORCE FTC team, and explore the Rover Ruckus field first hand. This is a free event, but please register if you are attending. The Sept. 8th celebration will have two components. The morning will focus on the STEM building Grand Opening, and the afternoon will be all about FIRST’s Rover Ruckus game. 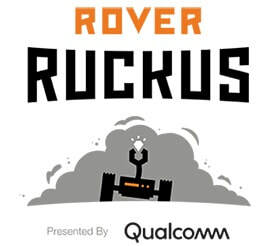 After watching the game reveal at noon, FTC participants will be able to get live, hands-on, experience with a Rover Ruckus field and game elements. Being able physically handle and manipulate game elements is the best way to jump-start robot brainstorming and devising game strategies. After Lunch, participants can choose between three different workshop tracks: Game/Robot Brainstorming, Robot Hardware and Robot Software. Each track will have three short sessions to get teams jump-started on their 2018-2019 journey. ​Please register yourself, or your team, so we can plan refreshments. These sessions are designed to help new coaches and team members come up to speed quickly. They cover robot technology and the logistics of running a team. Do not miss this early-bird opportunity. Once the work is over, participants will have earned free admission to the Garrett College CARC (Community Aquatic and Recreation Complex) pool and basketball courts for some fun and recreation. ​Also, in the spirit of FIRST Launch, the movie "Apollo 13" will be playing in the College Auditorium, starting at 1:00 pm. So, any youngsters or other family members can take a break from the kickoff and relax with some Space Drama. The STEM Building is building #200, and is accessed from parking lot B on Bumble Bee Road. Note: Lot entrance is opposite GPS address: 273 Bumble Bee Rd, McHenry, MD 21541.